Schools can use video broadcasting for a lot of things, including visual aids to classes and live streaming of sporting events and theater productions. One event that schools are most likely to want to live stream is graduation. If one is new to the art of live stream Internet broadcasting, as a lot of educators are, the subject can be a little daunting, both in terms of how to stream live video generally and in the special concerns that attend live streaming of graduation ceremonies. 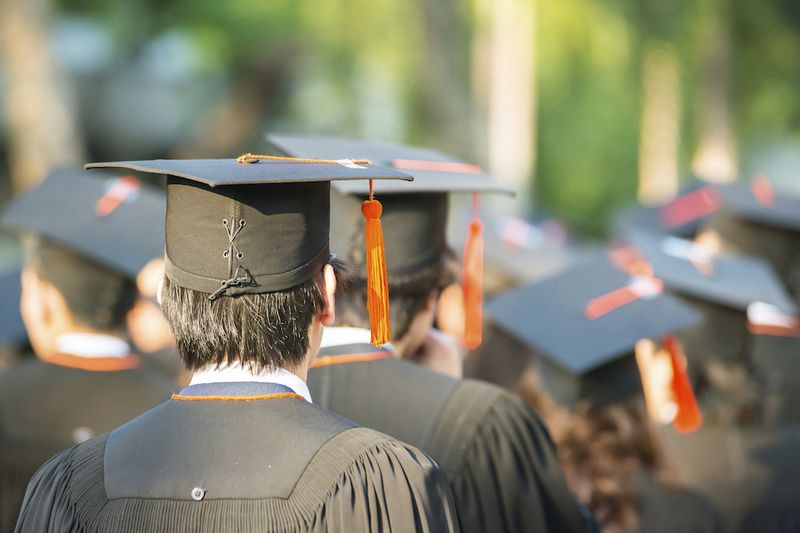 In the hope of making this daunting subject a little less daunting, let’s take a look at how to do graduation live streaming. But first, let’s take a moment to consider why you would want to. It’s a fact that graduation, an important milestone in everyone’s life that family members want to share, but not everyone can. Live streaming can allow people who can’t attend the ceremony in person to see it on the screen in real-time. Those people can even participate via comments while the event is actually happening. The real-time component makes live streaming the graduation better than simply recording it on video for later viewing (not that you shouldn’t do that, too). To do any kind of live stream broadcasting, you need four things. First, you need a source of video imaging. That means either one or more video cameras or a computer running a video program such as an animated cartoon or a video game. Since graduation is a live, real-world event, cameras it is. Video cameras for use in live streaming range from simple webcams to fancy and expensive professional video cameras. For the purposes of streaming a graduation ceremony, webcams are probably fine, and they’re both cheaper and easier to use. You may want to look into the specifics of what you want to do in the way of multiple viewpoints and zoom focus, though. The second thing you need for live stream broadcasting is an encoder or encoding software. The encoder converts the camera signals into a format that can be broadcast over the Internet. Encoding software, such as Wirecast or vMix, also lets you do a lot of things to control the appearance of your broadcast. This ranges from switching from one video feed to another to adding lower thirds and other graphic embellishments. The third necessity of live streaming is an Internet connection. Your connection needs to be reliable (you don’t want it cutting out at a crucial moment). The connection upload speed should also be at least as twice as fast as the bitrate quality of your broadcast. If you aren’t sure on your upload speed, be sure to do an upload speed test at the location you are streaming at. Finally, you need a streaming platform where you can host your video stream. When most people think of a streaming platform they think of YouTube. However, YouTube, while a great place to post recorded video that people can watch any time they want. It’s really not designed for what might be a more private live stream. There are several white-label hosting platforms (DaCast, Brightcove, Ooyala) that specialize in hosting live streaming video. These services will offer codes allowing embedding the video in other sites. One can even restrict the content from appearing on a public portal as well. Since your graduation stream may be your first venture into live streaming video, it makes sense not to try to get too fancy. You need to be able to show wide views of the whole graduation pageant and also close-ups of the speaker and of the graduating students. It would also be a good thing to add text to the video (probably in the lower thirds) showing the students’ names and a little other information for viewers. The more complicated the video, the more things can go wrong. So keep it as simple as possible. You’ll also want to rehearse the video streaming setup and process just as you do the graduation activity itself. This lets you identify holes in your arrangement and correct them before the event itself. 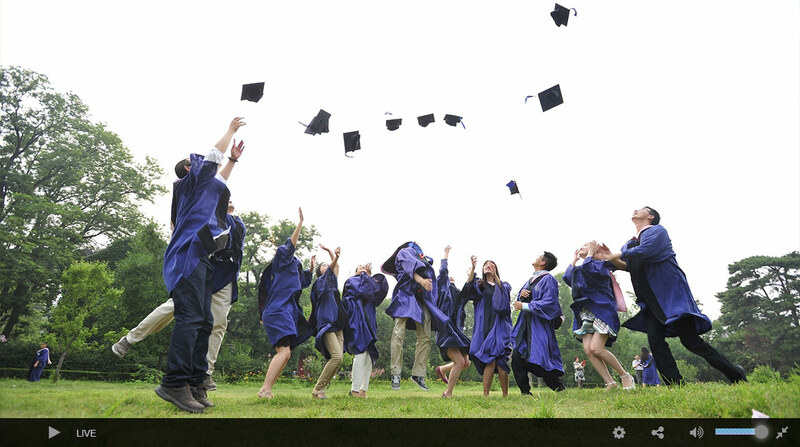 A graduation video isn’t a program on cable TV. It’s a special event with a limited audience. Those interested in it are the participants themselves, both students and teachers, and their families, plus anyone else the students want to invite. A good approach is to let the graduating students name a certain number of people in addition to their immediate family to receive invitations and provide their email addresses. The email sent to invite people to view the graduation event should include a link to the web site where the video will be hosted. The invitation should be sent out at least a week before the graduation itself, with a reminder the day before. A countdown timer on the web site itself is also a good idea. What if the graduation ceremony is held outdoors or in some other venue where high-speed cable Internet connection isn’t feasible? In that case, you need to consider alternate ways to connect to the Internet. One way that often works well is to use a mobile phone hot spot. With the latest 4G phones, it’s possible to achieve reliable connections with about 6 Mbps speed, well in the range of what you need for live streaming. In some cases, a wireless router connected to a high-speed DSL or cable link will work. It depends on how close the ceremony is to a connection and whether it’s in range of a reliable wireless signal. You can find a bit more about outdoor live streaming here. Of course, it’s ideal for family members to see their children or their nephews and nieces graduate in person. However, in today’s fast-paced world that’s not always possible. Live stream broadcasting of a graduation ceremony is a nice touch for family members who aren’t able to attend a graduation in person. It does take a bit of equipment and know-how. That said, it’s neither tremendously expensive nor terribly difficult. A bit of practice and an understanding of the basics of live streaming should let you put together a professional-looking production. That stream will bring smiles to proud parents whose busy schedules don’t allow them to be there.